The DMX transmitter is compatible with any full DMX 512 console or battery operated DMX 512 control board. With just a push of a button, the DMX transmitter is easy to use and operates on universal input from 100VAC to 240VAC. The DMX transmitter is powered AC with universal input from 100-240VAC. It includes an IEC connection. 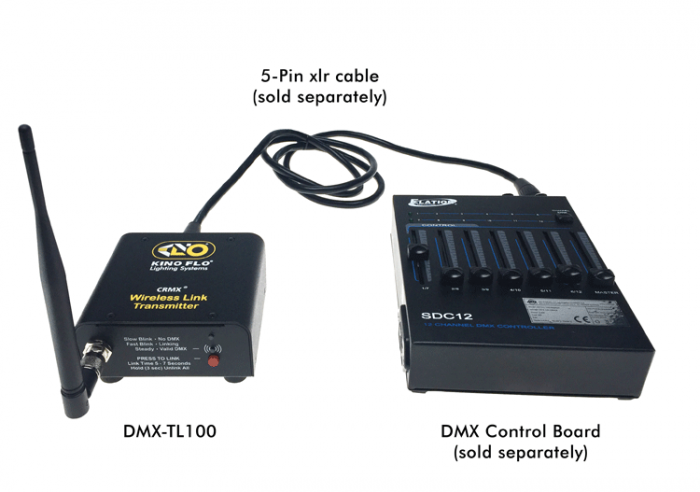 The DMX transmitter includes DMX Auto Terminate.